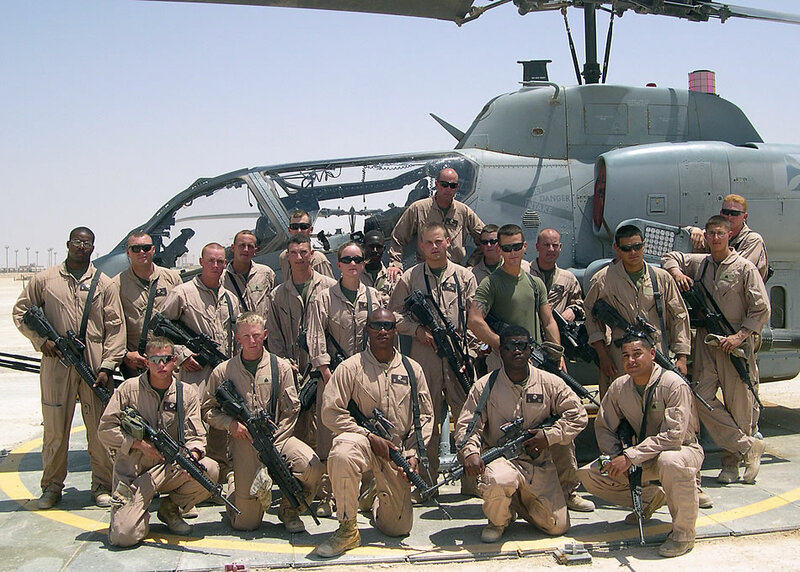 Marines with Marine Wing Support Squadron 274 pose for a group photo in front of an AH-1W Super Cobra helicopter July 26, at Al Qaim, Iraq. The squadron hauled more than 1,000 cubic yards of gravel to support the installation of helicopter landing pads. MWSS-274 operates under Marine Wing Support Group 37 (Reinforced), 3rd Marine Aircraft Wing.